AP Services, a product and service brand of Curtiss-Wright, is a manufacturer and integrated supplier of mechanical valve and pump packing, metal and fabricated gaskets, and a wide variety of specialized fluid sealing products for use in the power generation, chemical, pulp & paper, and refining industries. AP Services, a product and service brand of Curtiss-Wright, manufactures valve and pump packing products that have the lowest leak rates and friction in the industry. After extensive testing, AP Services has found that excessive packing rings increase friction and cause poor gland load transfer, resulting in less than optimum performance. AP has cured this problem by utilizing Graphite Bushings to take up space previously occupied by excessive packing rings. Style 5005 & 5010 Graphite Bushings provide stem support on valves that are mounted horizontally or on an angle, make up for poor valve clearances, and aid in stem alignment resulting in better valve performance, seat loading, and longer packing life. 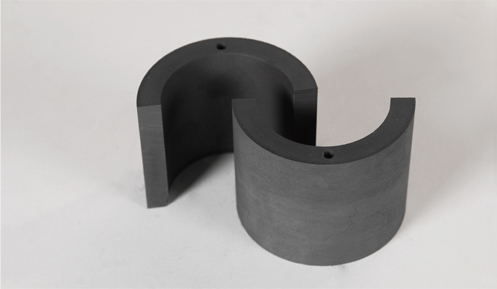 AP Services Graphite Bushings are manufactured from fine-grained, high density, high purity, isotropic graphite with high compressive strength and low coefficient of thermal expansion. The bushings are supplied vertically split and precision machined to specific clearances to fit into each stuffing box. To aid in removal, each bushing is drilled and tapped on one end. Style 5005 & 5010 Graphite Bushings are extremely durable and designed to be a permanent fixture once installed. The difference between the two styles is compressive strength. Style 5010 High Density Bushings are superior performing and designed to handle the harshest applications. Style 5005 & 5010 Graphite Bushings can be manufactured to exact tolerances and are available in standard or specified lengths. 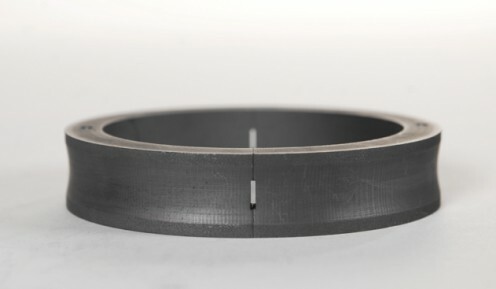 AP Services recommends that if the stuffing box and/or packing gland are angled, the graphite bushing should be machined to the matching angle or a cushioning material be placed between the two surfaces. Please contact AP Services with your specific requirements and any questions. Density Style 5005 – 110 lbs./cu. ft. Style 5010 – 112 lbs./cu. ft.
AP Services, a product and service brand of Curtiss-Wright, manufactures valve and pump packing products that have the lowest leak rates and friction in the industry. Style 5015 Graphite Lantern Rings are designed to replace typical metal lantern rings originally used in valves and pumps. The benefits of graphite lantern rings over metal lantern rings are that graphite will not score or damage expensive valve stems and pump shafts, and graphite lantern rings can help provide stem/shaft support and alignment. AP Services Graphite Lantern Rings are manufactured from the same material as Style 5010 High Density Graphite Bushings. The lantern rings are supplied vertically split and precision machined to specific dimensions/clearances to fit each stem and stuffing box. To aid in removal, the lantern ring is drilled and tapped on the end surface, if parameters allow. Style 5015 Graphite Lantern Rings can be manufactured to custom dimensions, lengths, and designs with precise tolerances. Please contact AP Services with your specific requirements.